A conference on Western Canadian Functional Food Ingredients: Strategies to Manage Costs & Enhance Products took place from June 11 – 12, 2014 at the Richardson Centre for Functional Foods and Nutraceuticals in Winnipeg. Dr. Gillian Richards from RDI presented an overview of the industry: “Manitoba’s food processing sector – two paths to 2020”. RDI’s current research project into opportunities for growth and innovation in processing bulk food ingredients will conduct case-studies through the entire supply chain of several Manitoba industries. There were many presentations that pointed to possible innovations, new ingredient products and avenues to explore for processing bulk ingredients. There are opportunities for growth through utilization of novel processes and products that maximize the nutritional profile of functional food products: foods that are good for you and good to eat. The need for communication and cooperation through the entire food processing supply chain (from producer to customer) was also emphasized by many. 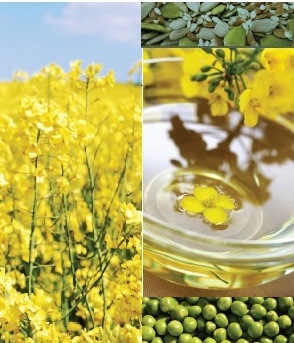 A common thread was that there are opportunities for ingredients and retail products that take advantage of nutritional advantages of a number of Manitoba grown crops: oilseeds, pulses, vegetables, fruit and grains. This advantage can be in terms of shelf-life, or protein, fibre or omega-3, 6 & 9 fatty acid content. Progress is being made in effectively confirming the positive effects (through scientific trials); developing viable processes and products; and communicating effectively to both retail and business customers. However, there is still lots of work to be done in research, development, commercialization, raising awareness and marketing in order to convert ideas into increased processing in Manitoba.